John P. Benson Blog We honor our Veterans and their families. Today, Veterans Day, and the 100th anniversary of the end of World War I, we honor our Veterans and their families, not only here at Verisys, but across our great nation. It is a day to reflect and express gratitude for their service and many sacrifices while serving our country across the globe. Our freedom as a people is exacted at their expense and peril. Our thankfulness extends to the families of our Veterans who have also endured tremendous hardships supporting their loved ones. Our military families define resiliency as they deal with extended periods of time apart from their parents, children and spouses who often miss major milestones, holidays, and special occasions due to deployments. 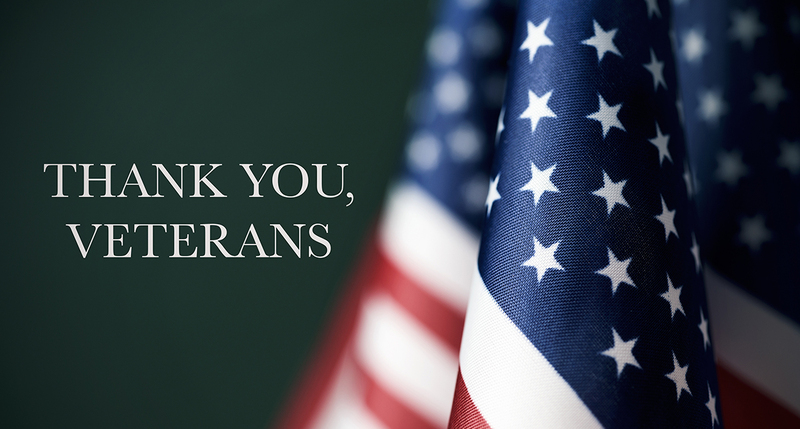 If you are one of the 22 million Veterans or a family member of a Veteran, we humbly and sincerely say thank you.